VISIT ONLY IF YOU ARE INVITED! Inquire at the office of the land management agency that you are visiting, about which sites are ''open'' to public viewing. Oils from your skin damage pictographs (rock paintings) and petroglyphs (rock carvings. Never deface rock art by scratching or rubbing the rock surface. It ruins irreplaceable masterpieces, and is illegal. DON'T TAKE THE KNICK KNACKS! Leave all artifacts, including small fragments of pottery and stone chips, right where you find them for others to enjoy. Out of context, artifacts cannot help us to understand the past.It is illegal to remove them. DON'T PEE IN THE PARLOR! KEEP YOUR FEET OFF THE FURNITURE! THANKS FOR BEING A COURTEOUS GUEST! The Rock Art in Southwest Utah is a living record of the Native American people- a history of our nation that now belongs to all of us. Petroglyph and pictograph sites are sacred religious and ceremonial areas. They are also a record of our mutual past that may indicate where our society is headed in the future. It is critical to our American heritage that our amazing Rock Art be preserved. Industrial Expansion, Residential Building, Recreation (paintball, ORV, irresponsible parties, deliberate vandalsim) and Government Projects (Roads, Dams, Highways, Oil Leasing, Mining, Farm and Ranch Leasing) are contributing to the destruction of our Rock Art at an accelerating rate, both on public and private land. So, we are agreed that there is a problem....but how can YOU help? 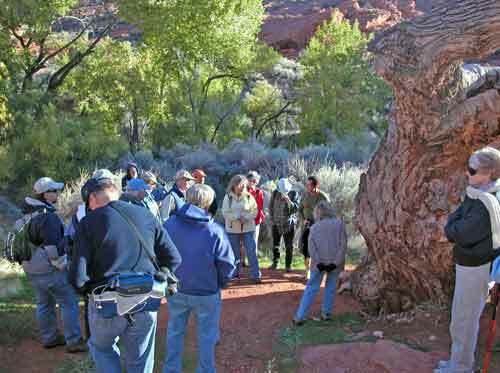 Here's one way....Organizations such as the Dixie Archaeology Society, URARA, ARARA and USAS promote Education and Preservation of Rock Art. Joining one (or all) of these groups is an appropriate start, and it is fun, too! The impact of local and Federal government decisions on industrial, residential, and government projects needs to receive greater attention from us, in our efforts to preserve our Rock Art. Small attractive "Petroglyph Parks" could be set aside in new residential and industrial developments, adding value and interest to these areas. It would be good business practice to protect community resources that are a major tourist attraction. Members of local communities could help by reporting any destructive activities to the Police Department and the appropriate land agency (BLM, NFS, NPS) After all, the vandalism and destruction is happening right here, in our own back yards, to property that belongs to all of us! Let�s all work together to save this important community and national asset.